Helping Emcee and Hollywood Chamber President/CEO Leron Gubler to unveil the star will be TBA. Actor, writer, director and producer Eugenio Derbez is one of the most influential creative forces in Latin America, and is the most recognized actor among the Spanish-speaking population in the U.S. His latest feature film “Instructions Not Included” became the most successful Spanish-language film ever in the U.S. and worldwide, and broke numerous box office records everywhere, earning over $100-million. Variety recently recognized him as the No. 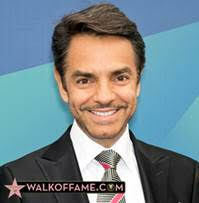 1 most influential Hispanic male in the world. Derbez, is the star of the soon-to-be released Sony Pictures film “Miracles from Heaven” opposite Jennifer Garner and Queen Latifah which will be released worldwide on March 16th.